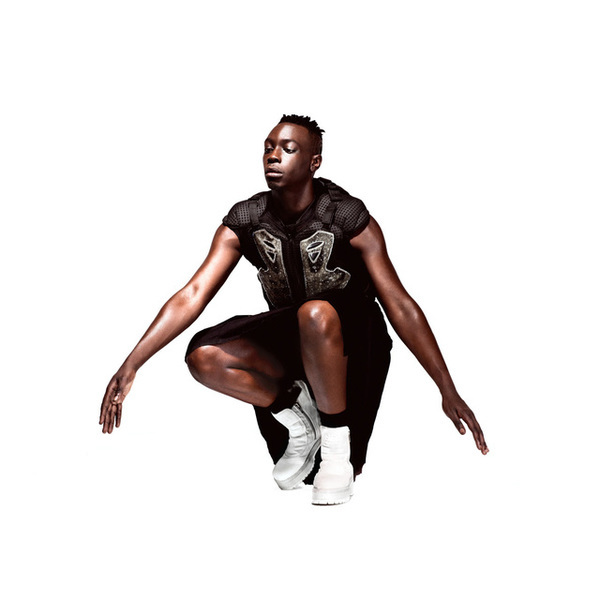 After 3 very well-recieved mixtapes, Le1f's debut album is inarguably one of 2015's most fascinating new hip hop albums, not least for its roll call of guest voices - Devonte Hynes, Junglepussy, House of Ladosha - and producers - Evian Christ, SOPHIE, Dubbel Dutch, LUNICE, Salva - but mostly for the man's arch outsider perspective and bars that you won't hear anywhere else. He's not the first openly gay, black American MC but, he's maybe the most prominent, and for that reason alone he holds a unique position in the scene - touching on topics that other rappers would run a mile from, whilst drawing for sounds, rhythms and styles beyond the conventional. And best of all, Riot Boi clearly stands up on its own terms, from Le1f's devilish drawl and snarl oozing with finely crafted but natural style, to his cream-of-the-crop rhythms - including no less than three smackers from Evian Christ, and SOPHIE's demented synth-funk on Koi, thru the almost Korean classical-styled tunings of Lisa or thesignature touch of Devonte Hynes in the FutuR&B bounce of Change. For the club, the car, the bedroom; it's all good.